The Stimulus Map Pack is Here! Our Cure for "Mapathy" is here with the Stimulus Map Pack. Is it worth $15? "The best-selling Xbox 360 game of all-time just got bigger, with more epic multiplayer content, first on Xbox LIVE! The Stimulus Package delivers 5 additional action-packed multiplayer maps featuring a variety of locations: "Bailout," a multi-level apartment complex; "Storm," an open industrial park littered with heavy machinery; "Salvage," a snowy junkyard fortified by stacked debris and crushed cars. 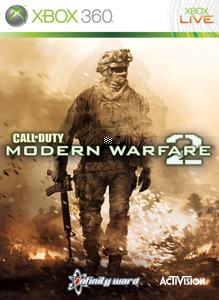 Two legendary fan-favorites from Call of Duty 4: Modern Warfare return, including "Crash," a war-torn urban environment; and "Overgrown," which features a massive dry creek bed."